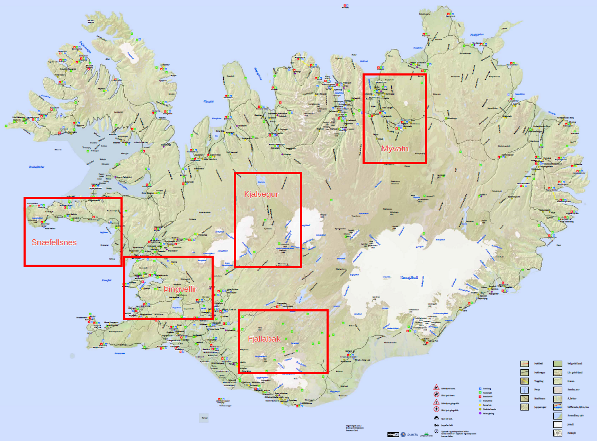 Sögur Publishing House, located in Reykjavik (Iceland), has recently issued five new and exciting maps on hiking and horse-riding routes. Available in Icelandic and in English, the maps come in plastic folders, convenient whether you are walking or horse-riding. Each map offers around 40 different routes. Features include enhanced contour lines (20 metres), more accurate ratio (1/100,000), historic references and picturesque descriptions that capture the landscape. Five new and exciting maps on hiking and horse-riding routes! !